If you are looking for excellent service, high-powered negotiation skills and long time real estate experience you can trust, you need to contact Kori today! As a leader of her company, Concierge Real Estate Services, she continues to bring together the best team of agents and investors to buy and sell incredible properties in this, the county she and her family have called home since 1979. Kori is furthering the legacy of her Grandfather, Karl Baumann, and continues to be on the forefront of Mariposa County Real Estate. 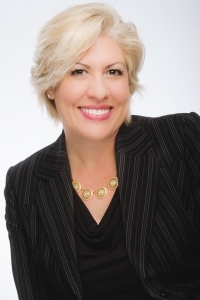 While becoming an agent 19 years ago, she quickly climbed the ladder of success through working with the right clients, developing trust and helping her clients find the right professionals to get their homes ready for sale or "move in" ready. She has been a top producing agent since 2006 - over 10 years - with sale volume of approx. $10 Million last year alone with 35 transactions.